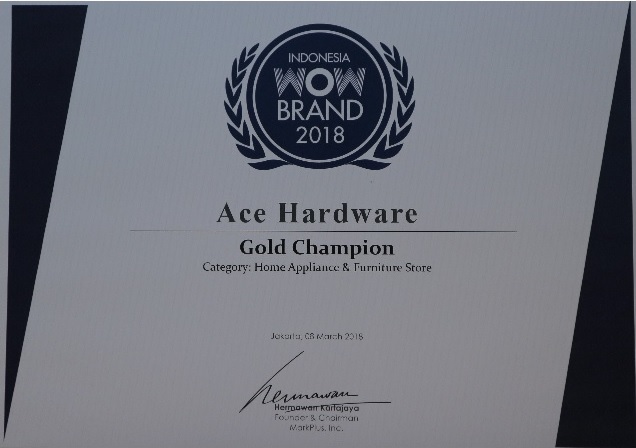 ACE managed to obtain their fourth Gold Champion title from Indonesia WOW Brand Award 2018 in Home Appliance & Furniture Store category derived from a survey involving more than 5,800 respondents from big cities. The survey methodology was based on Philip Kotler's WOW marketing approach. 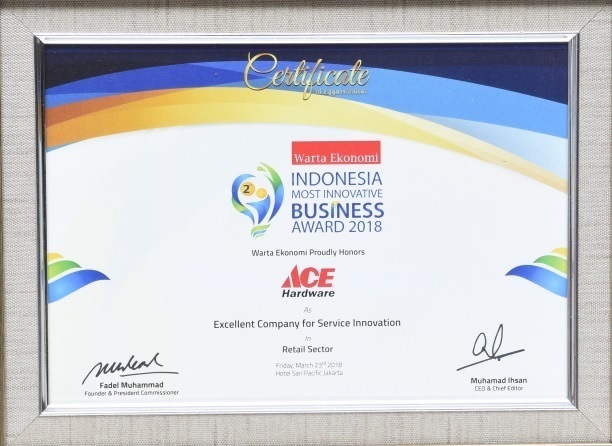 ACE once again was recognized as Excellent Company for Service Innovation at Indonesia Most Innovative Business Award 2018 by Warta Ekonomi. 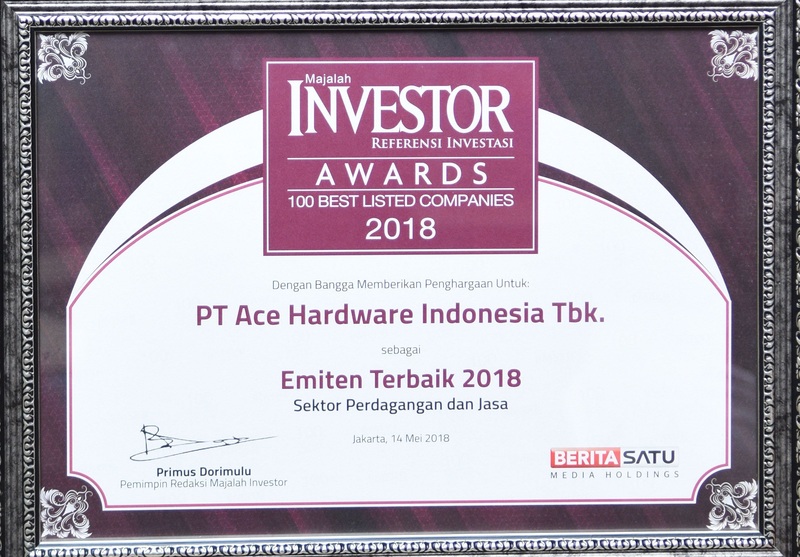 ACE was chosen as one of the best public corporations 2018 in the retail and service sectors by Majalah Investor. Awarding night was held on May 14, 2018.